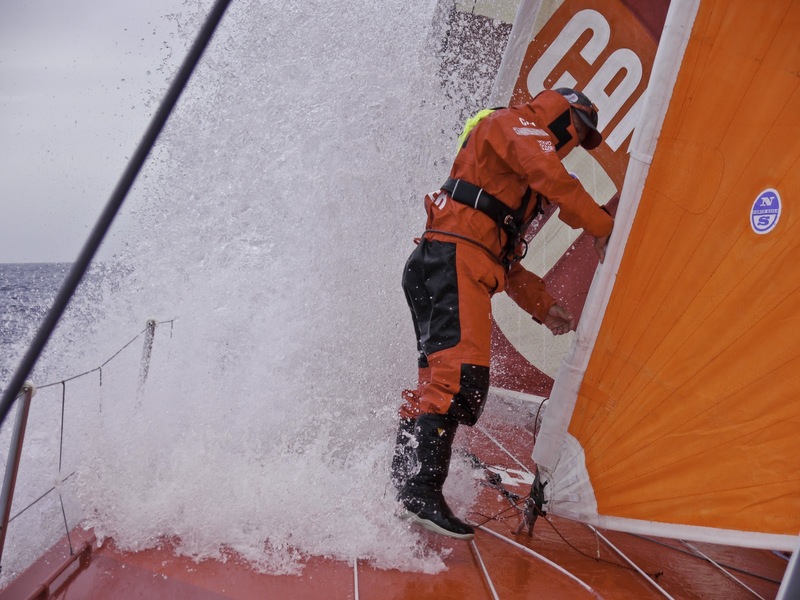 Action packed adrenalin pumping racing is expected for the three boats left racing in Leg 1 who are hoping to ride a fast moving South Atlantic cold front all the way to Cape Town. Team Telefónica have battened down the hatches ahead of the storm system which has already pushed their boat speed up to almost 30 knots. 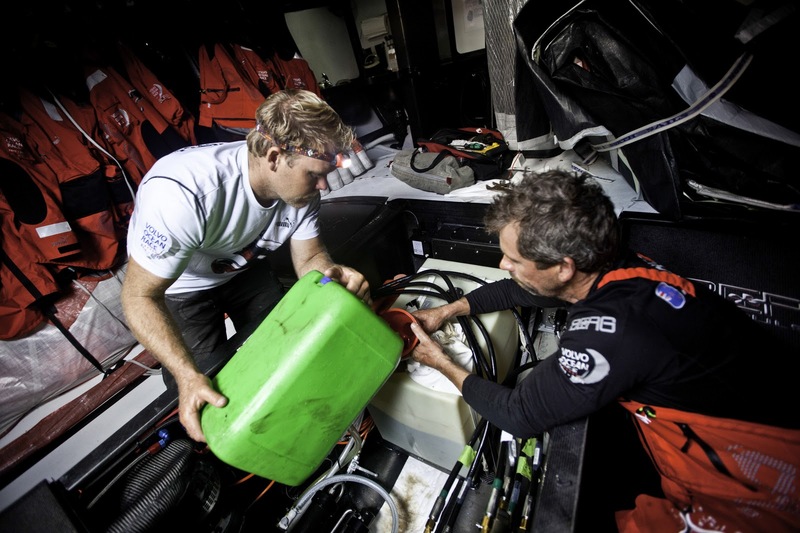 Despite travelling at breakneck speed navigator Andrew Cape reckons the boat and crew are in complete control and ready to go even faster. 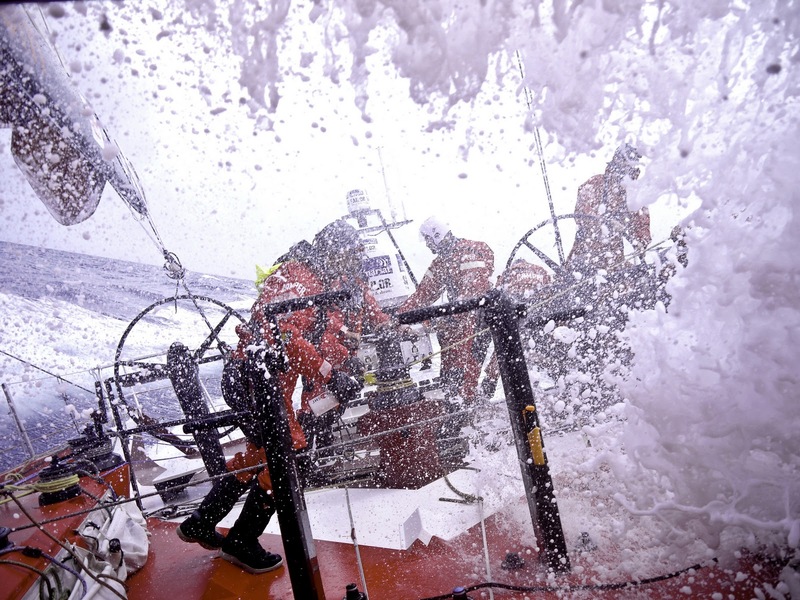 “We’re at the beginning of a front so we’re getting ready for the big speeds. 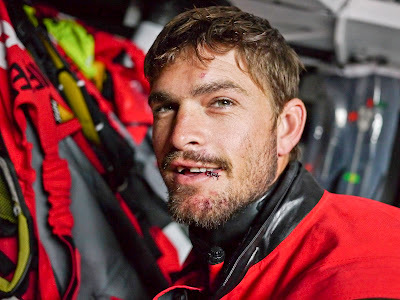 We are already seeing 25 – 30 knots of breeze and the next day or so is going to be quite exciting for us.We’re already averaging 24 knots so it’s already getting a bit spooky. We’re preparing ourselves for a lot more than that and for a full 36 hours of it. 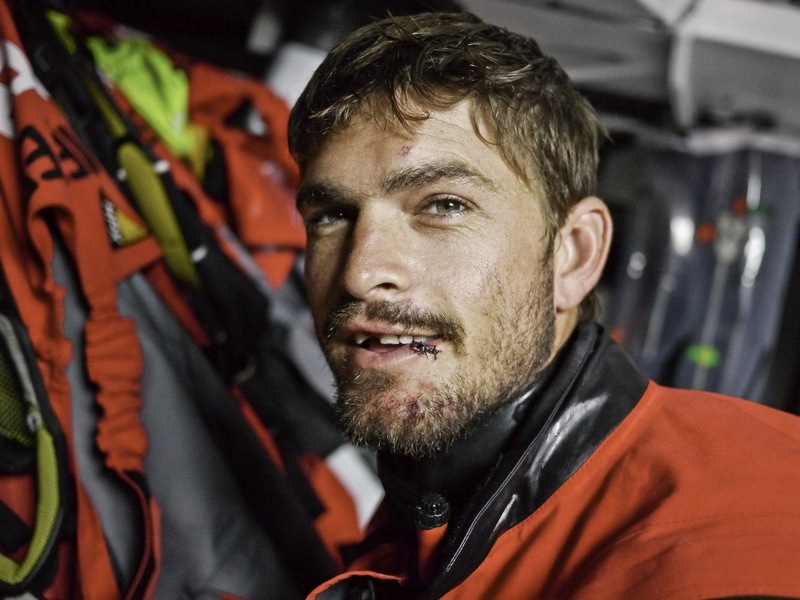 It’ll be a good ride,” Cape said. 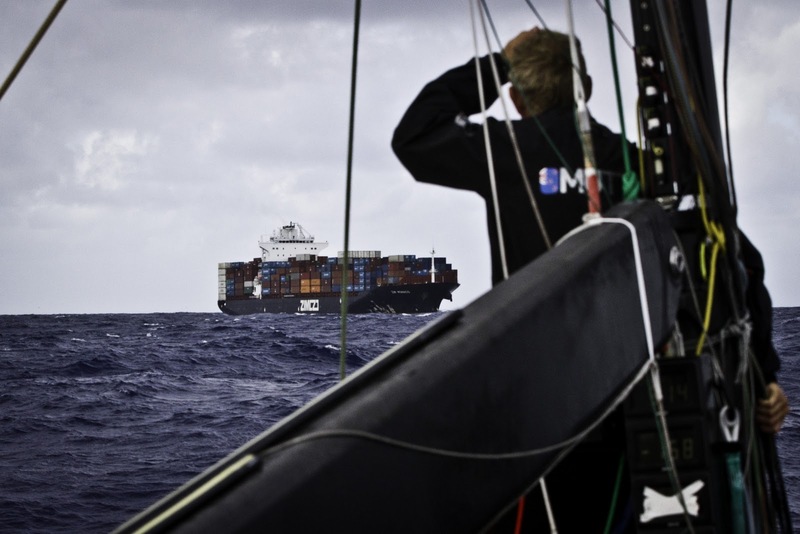 Historically the final section of this leg is where 24-hour distance records are set. Mike Sanderson on ABN AMRO 1 (563 nm) and Torben Grael on Ericsson 4 (696.8 nm) respectively turned in record setting performances here in the last two races. 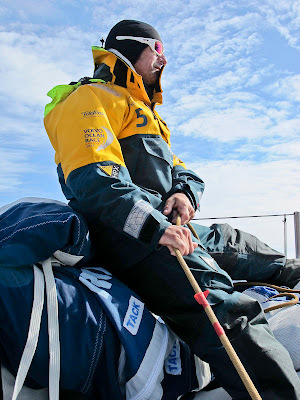 Sanderson’s chances of another record attempt in this race ended when bow damage to Team Sanya sidelined him for the first leg. 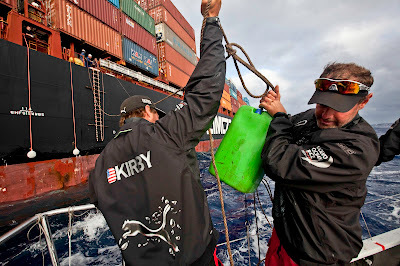 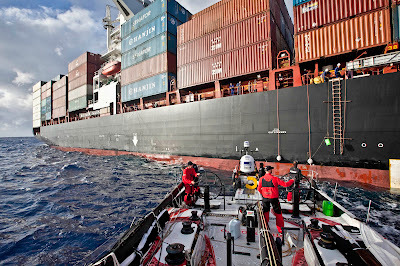 “The front itself is moving at around 40 knots so the boats will not be able to ride it all the way to Cape Town. To break the record they will have to average faster than 24.85 nautical miles over a 24 hour period and the record attempt weather window could shut as early 1200 UTC tomorrow,” Infante said. 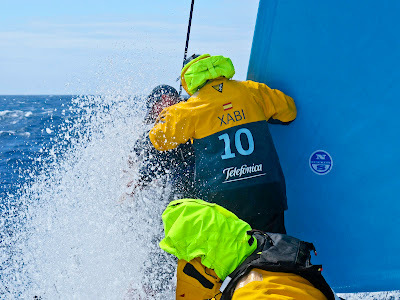 He believes the timing of the cold front will benefit Telefónica the most, with Chris Nicholson’s second placed CAMPER arriving a little too late for the full effect. 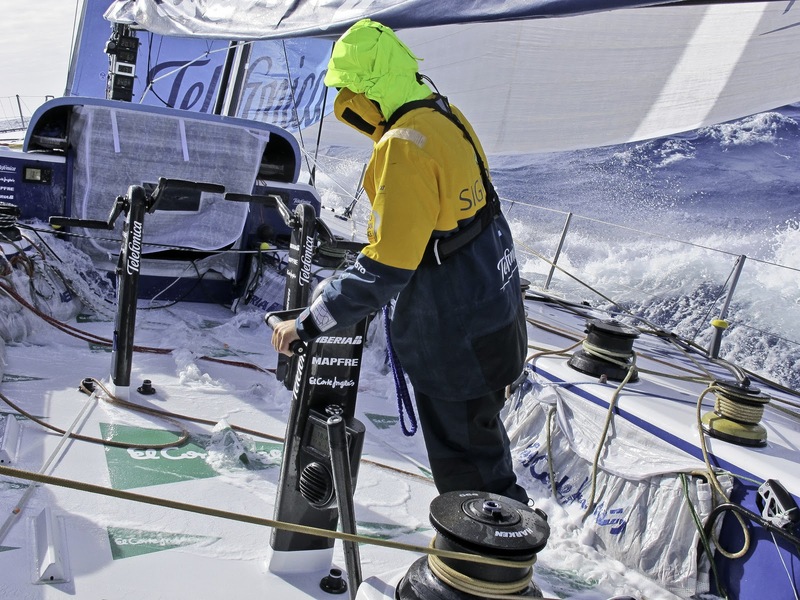 Third placed Franck Cammas’ Groupama sailing team may have to dig much deeper south to avoid being caught by a secondary windless high pressure system which could keep them at sea for days. With a 130 nautical mile distance to finish lead over CAMPER with Emirates Team New Zealand, Cape says Telefónica will have to strike a balance between speed and caution on the run in to Cape Town. 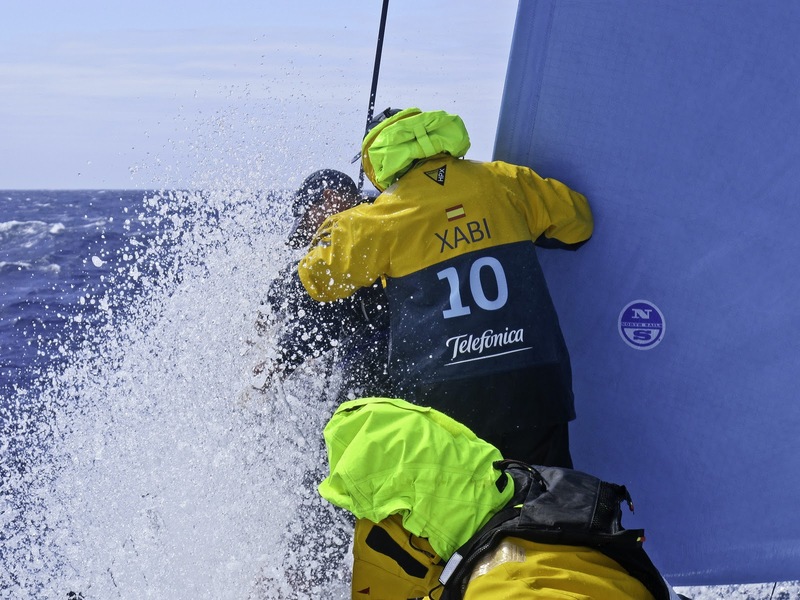 He is very happy with Telefónica’s positioning in relation to the chasing CAMPER, but also strikes a note of caution. As for record attempts, Cape agrees that breaking the monohull world record is unlikely, but believes the IWC Schaffhausen speed distance challenge prize for the fastest 24 hour run on Leg 1 could be set. 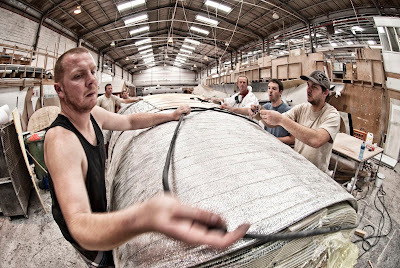 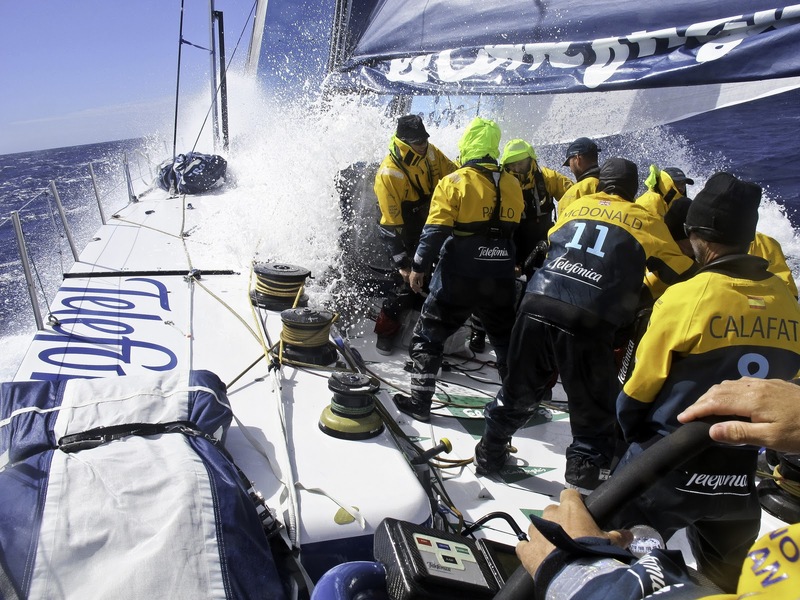 Cape also confessed that after nearly three weeks of non-stop ocean racing the Telefónica crew were ready to get ashore. 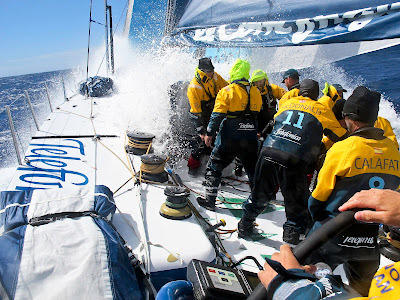 Latest routing predictions suggest that Team Telefónica could finish the first leg in Cape Town on the evening of Sunday November 27. 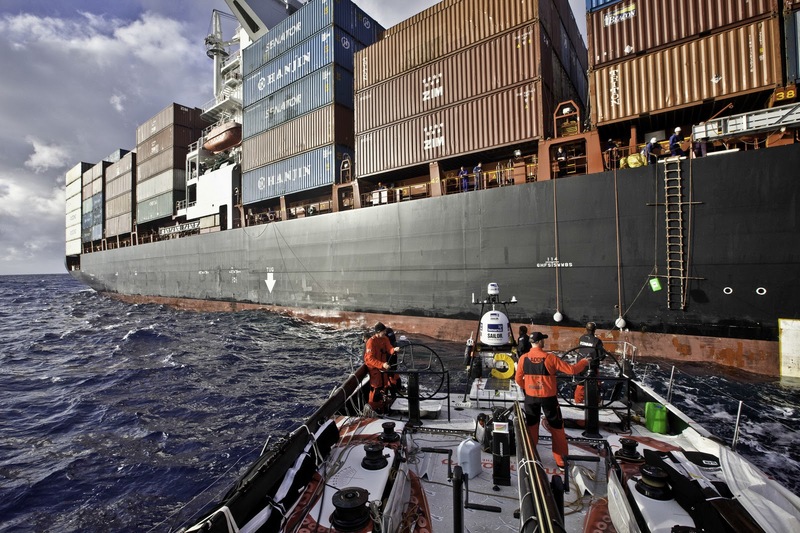 After being forced to retire from the leg, Ken Read's dismasted PUMA Ocean Racing powered by BERG accepted fuel from a container ship last night allowing them to continue to motor under jury rig to the island of Tristan de Cunha to rendezvous with their shore crew.